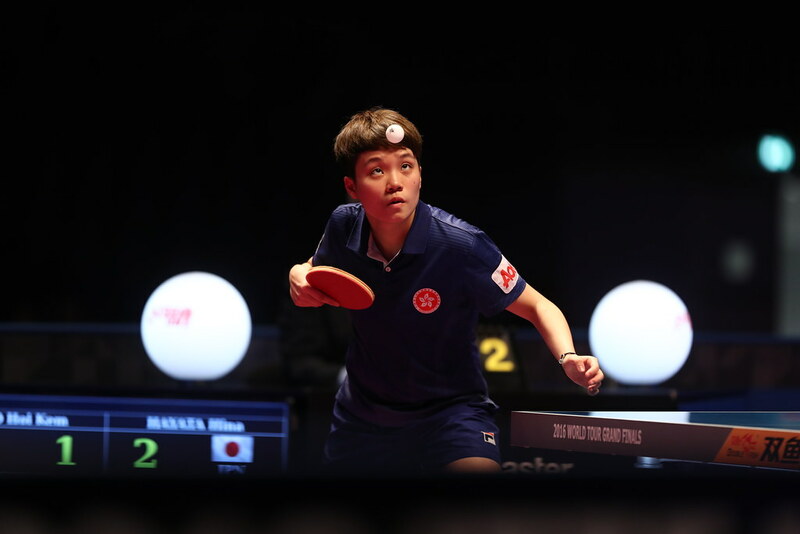 Present last year on the ITTF World Junior Circuit in Paraguay and at the ITTF Challenge Series tournament in his native Chile, Jermias Paredes emerged the player to attract the attention, as the initial phase of the Cadet Boys’ Team event at the 2018 South American Junior and Cadet Championships progressed on Wednesday 21st March. He remained unbeaten throughout the day as he guided Chile to an unexpected group first place ahead of Ecuador and top seeds, Peru. Supported by Goncalo Caico and Eusebio Vos; he beat both Joel Cisneros (11-4, 5-11, 11-5, 11-4) and Carlos Fernandez (11-6, 7-11, 11-8, 11-9) in the three-two success against Peru. The one further win for Chile was recorded by Eusebio Vos in the vital fifth match of the fixture in opposition to Joel Cisneros (11-7, 11-6, 7-11, 3-11, 11-7); for Peru, Carlos Fernandez beat Eusebio Vos in the opening match of the fixture (11-8, 11-9, 7-11, 11-7), in the third match Angel Jimenez defeated Gonzalo Caico (11-9, 11-5, 9-11, 11-3). Defeat for Peru meant third place in the group; in their opening contest against the Ecuador outfit comprising Mathias Lecaro, Neycer Robalino and Diego Piguave, a similar three-two defeat had been the order of proceedings. In the concluding group fixture with no changes to the line-up, Chile beat Ecuador by three matches to nil, Jermias Paredes giving his team the perfect start by overcoming Mathias Lecaro (12-10, 10-12, 11-7, 11-3). A surprise first place; in the corresponding group, the final places were as status advised. Represented by Shim Joon, Kenzo Carmo and Henrique Noguti; Brazil finished in first positon ahead of Argentina’s, Christian Azcoaga, Santiago Marini and Lautaro Sato. Similarly, in the Cadet Girls’ Team competition where there were also two groups in the initial phase, the leading outfits in each group finished in the leading two respective positions. Brazil with Geovanna Grilo, Giulia Takahashi and Laura Watanabe completed matters ahead of Chile’s Mariam Ruiz, Marcena Montecino and Sofia Vega. In the corresponding group it was first place for Colombia’s Juliana Rodriguez, Alejandra Alzate and Juliana Lozada ahead of Peru’s Alejandra Prieto, Francesca Esbobedo and Maria Maldonado. Undoubtedly the performance of note was that of Alejandra Alzate, she beat both Karen Muñoz (11-8, 12-10, 11-8) and Sandy Ruiz (11-7, 10-12, 19-16, 11-6) in the three-two win over Ecuador, before accounting for Francesca Escobar (11-3, 11-4, 12-10) and Alejandra Prieto (11-6, 11-8, 13-11) in the similar success in opposition to Peru. At the semi-final stage of the Cadet Girls’ Team event, Brazil faces Peru, Chili confronts Colombia; in the counterpart Cadet Boys’ Team competition it is Chile versus Argentina, Ecuador in opposition to Brazil. Both the Cadet Boys’ Team and Cadet Girls’ Team events will be played to a conclusion on Thursday 22nd March.